But first things first: Since I left the Liberty and sailing, and stayed in Malaysia for a while, my next destination was initially Indonesia. It was February. But since most parts of Indonesia were still in rainy season (lasts until April), I thought of going north to the obvious choice of Thailand for a month or so. But then I remembered that Myanmar (Burma) had recently opened up a little bit after decades of military regime. When I was in Thailand in 2008 I tried to go there, but then it was virtually impossible to get a visa, not to mention all the other hardships of actually travelling in the country. Now Myanmar was issuing 28-day same-day tourist visas in a modern air-conditioned office in central Kuala Lumpur, a return ticket with Air Asia was 85 USD and, would you believe, there were rumours of the first ATMs appearing in the country. I couldn’t miss the opportunity but 28 days was not enough for me. 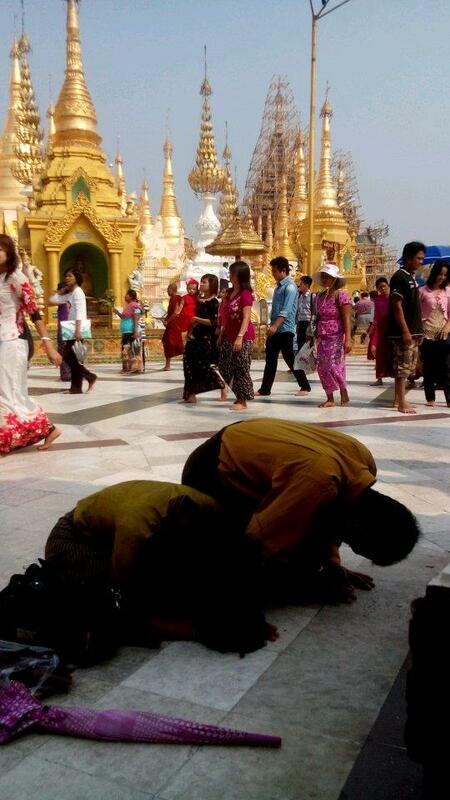 Then someone told me that if doing a meditation course in Myanmar, one could get a 3-month “meditation visa”. And that’s how I found out about Vipassana meditation, wrote to a few meditation centers and got myself an invitation letter that would get me the 3-month visa. 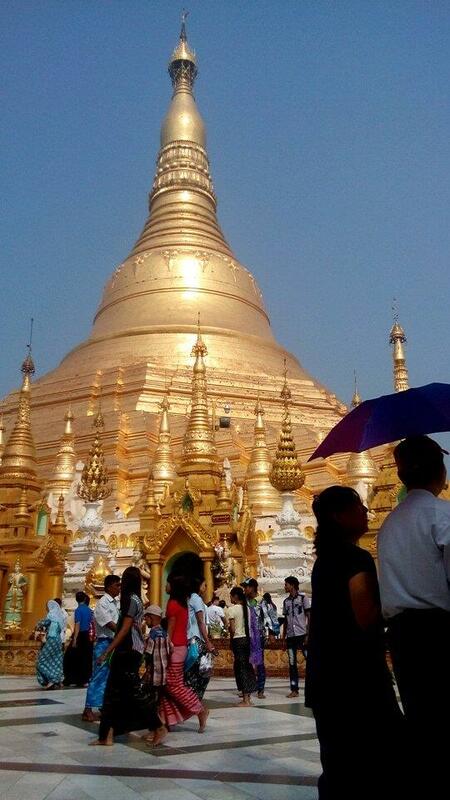 There are Vipassana meditation courses all over the world, but doing my course in Myanmar made a lot of sense since that is where the tradition of Vipassana was well preserved for 2500 years, while it disappeared everywhere else, including in its home of northern India. The teacher S. N. Goenka (who passed away last October) learned the technique in Burma and took it back to India some 30 years ago and since then it has spread all over the world. I am generally very critical of organized religion. And although I used to give a lot more credit to Buddhism than Christianity, Islam or Judaism for example, back in 2011 when I visited Nepal, Tibet and Mongolia, I saw that Buddhism preached the usual dogmas and superstition. The same ones that other religions use to control public opinions. Since then Buddhism has been for me just another organized religion, aimed at controlling public opinion. Now, on its website, dhamma.org, Vipassana is advertised as “scientific and non-sectarian”. So there was nothing to worry about – it was not religious and it was scientific. So I jumped in, head first. Especially with that 3-month visa in hand. 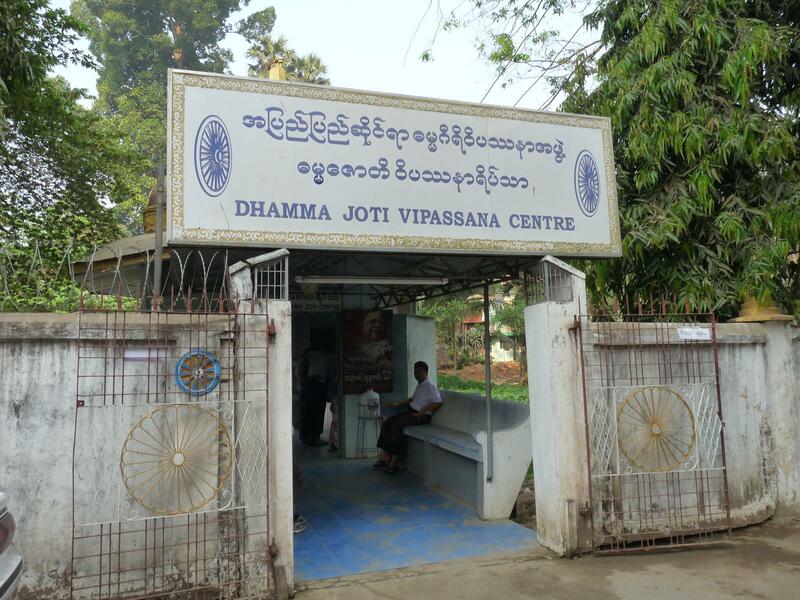 My course was at the Dhamma Joti Meditation Centre in Yangon. 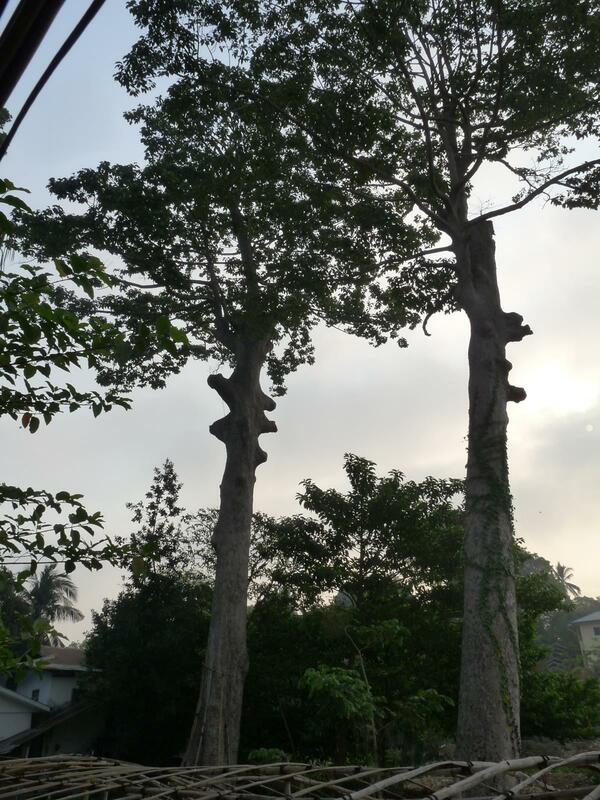 Central location, yet quiet and peaceful, a nice garden and nice facilities. I shared a room with Patrick, an English guy. Vipassana is normally taught at 10-day courses in meditation centers while observing strict rules. No speaking (verbal or gestures) until 10 am on the last day, no killing, no stealing, no sexual activities, no telling lies, no eating after 12 noon, being present at all meditation sessions (10 hours a day altogether), waking up around 4 am, not leaving the compound for ten days etc. etc. Basically, living as a monk for ten days in exchange for bringing change to your life. 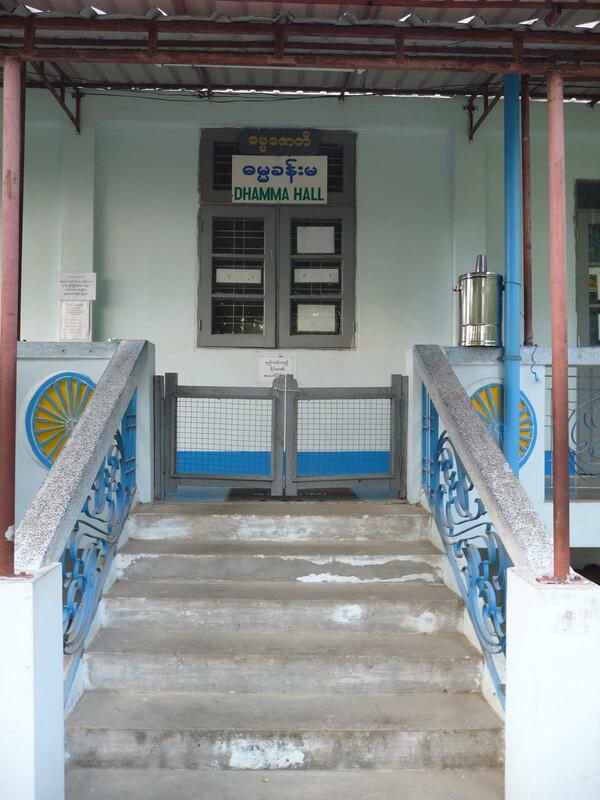 Meditation sessions took place in the Dhamma hall. Dhamma (in Pali language) or Dharma (in Sanskrit) is the word Buddhists use to describe Buddha’s teachings, the doctrine, the correct path to enlightenment. Anyone remember the Dharma Initiative? On day one we had to “surrender to the Buddha” in a ceremony. The first couple of days were very difficult on the mind and body, getting used to the schedule and restrictions and to sitting in the same position for ten hours a day in total. It got better later, but I got slowly frustrated over some things, especially the excessive chanting on tape by the teacher Goenka. And he is the kind of person you would boo out of a karaoke bar or a reality TV talent show audition. The chanting was supposed to distribute positive vibrations but in fact I found it very depressing and it was quite difficult to concentrate and meditate during the chanting sessions. In a few words the philosophy behind Vipassana is that, first of all, everyone is miserable. If you happen to think you are not miserable, they make sure to persuade you that you are. You can get rid of all bad emotions and “misery”, present and past (i.e. including those that you have pushed back into your subconscious and, scientists watch out!, those from your past lives) by observing sensations on your body and refraining from reacting to them (being “equanimous”). This means, while meditating (eyes closed, lotus posture etc.) you focus on different small parts of your body, trying to feel a sensation there and, if pleasant, refraining from developing a craving for it, or, if unpleasant, refraining from developing aversion to it. Many people claim Vipassana to have turned their lives completely around. Peace, harmony, goodwill. My main purpose of joining this course was to get some rest for my mind, gather my thoughts and work on improving my concentration. Around day five I realized that I was part of something that reminded more of organised religion than anything related to science – they make sure you feel unhappy and offer you salvation. I didn’t find much in the teaching that was scientific. Indeed the Buddha found out about the subconscious levels of the mind a couple of thousand years before western science did, but the discourse was usually entertaining, rather than scientific, with a lot of anecdotes (sometimes as if taken straight out of a Bollywood soap opera) to prove points. A friend, who had also done Vipassana, told me later that he felt like the teacher Goenka had created a cult around his personality. And indeed there was something true there. On the last day I talked about this to a couple of guys who had done the course before, one of them more than ten times. They agreed that there were some weak points there, but said they took what they liked out of it. I don’t mean to persuade anyone to do or not to do Vipassana. This is just my experience. I believe more in personal growth through education and curiousity, rather than obedience. I did not leave the course with a bad feeling. Only during the last day, when we could communicate, I made nice friends, including a nice monk who was a fan of Avril Lavigne and dreamed about living in the USA, and one of the assistant boys (to whom we could actually talk during the whole course, in case we needed any help). 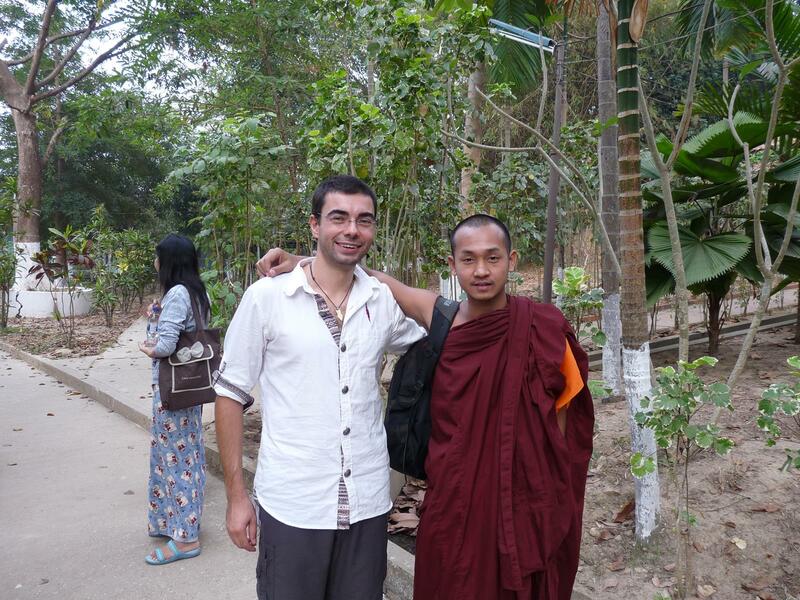 In any case the Vipassana course was a good preparation for what is to come on my travels in Myanmar. Buddhism is not only an institution there. It governs every bit of the life of the people in Myanmar – from ceremonies and food to fighting people of other religions. The Muslim Rohingya people are one of the most prosecuted minorities in the world and the atrocities are very often enccouraged by Buddhist monks in Myanmar. 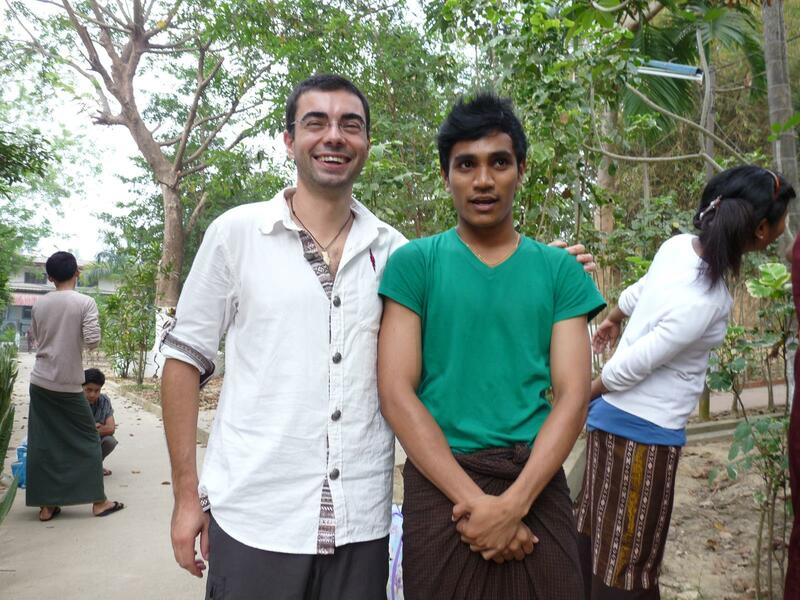 More about Myanmar will come in another post. It’s an awesome post in favor of all the online people; they will take advantage from it I am sure.